Bornova Anadolu Lisesi’ni ve Ege Üniversitesi Tıp Fakültesi’ni bitirdi. Hacettepe Üniversitesi Tıp Fakültesi’nin Biyokimya Anabilim Dalı’nda uzmanlık eğitimini 1998’de tamamladı. Hacettepe Onkoloji Enstitüsü Temel Onkoloji Anabilim Dalı’nda kanser biyokimyası bilim uzmanlığı eğitimini 2000’de tamamladı. 2005'de doçent, 2013'te ise profesör oldu. 1998’de ve 1999’da toplam 7 ay süreyle Fransa Hükümeti Bursu alarak, Paris’teki Hotel Dieu Hastanesi’nde çalışmalar yaptı. 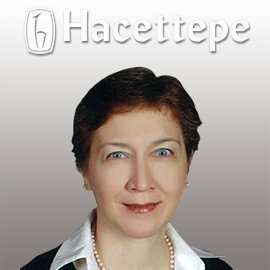 Tümör hücrelerinde çoklu ilaç direnci mekanizmaları, sinyal iletimi, hipoksi ve kanser konularıyla ilgilenmektedir. A1. Telli, C., Serper, A., Dogan, A.L. ve D. Guc, “Evaluation of the cytototoxicity of calcium phosphate root canal sealers by MTT assay,” J. Endod., 25, 811-813 (1999). A2. Serper, A., Calt, S., Dogan, A. L., Guc, D., Özçelik, B. ve T. Kuraner, “Comparison of the cytotoxic effects and smear layer removing capacity of oxidative potential water, NaOCl and EDTA,” J. Oral Sci., 43, 233-238 (2001). A3. Dogan, A.L., Legrand, O., Faussat, A.M., Perrot, J.Y. ve J.P. Marie, “Evaluation and comparison of MRP1 activity with three fluorescent dyes and three modulators in leukemic cell lines,” Leuk. Res., 28, 619-622 (2004). A4. Bozdag, S., Capan, Y., Vural, İ., Dalkara, T., Dogan, A.L., Guc, D., Hıncal, A.A. ve P.P. Deluca, “In vitro cytotoxicity of mitoxantrone-incorporated albumin microspheres on acute promyelocytic leukaemia cells,” J. Microencapsul, Nov;21 (7), 751-760 (2004). A5. Dogan, A.L., Dogan, A., Canpınar, H., Düzgünçınar, O. ve E. Demirpençe, “Effect of fludarabine on leukocyte functions,” Chemotherapy, Dec;50(6), 283-288 (2004). A6. Kaplan Can, H., Dogan, A. L., Rzaev, Zakir M.O., Hasegeli Uner, A.ve A. Güner, “Synthesis and antitumor activity of poly(3,4-dihydro-2H-pyran-co-maleic anhydride-co-vinyl acetate)”, J. Appl. Polym. Sci, 96, 2352-2359 (2005). A7. Bozdag, S., Capan, Y., Vural, İ., Dalkara, T., Dogan, A.L., Guc, D., Hıncal, A.A. ve P.P. Deluca, “Formulation and in vitro bioactivity of mitoxantrone-loaded biodegradable microspheres on rat glioma (RG2) cells,” J. Drug Del. Sci. Tech., 15, 201-206 (2005). A8. Yukruk, F., Dogan, A. L., Canpinar, H., Guc, D. ve E. U. Akkaya, “Water-soluble green perylenediimide (PDI) dyes as potential sensitizers for photodynamic therapy”, Org. Lett., July; 7(14), 2885-2887 (2005). A9. Cetin, M., Capan, Y., Vural, İ., Dogan, A.L., Guc, D., Hıncal, A.A, Wehrle P, Dalkara, T. “Preparation and characterization of bFGF and BSA loaded microspheres”, J. Drug Del. Sci. Tech., 15 (5), 371-375 (2005). A10. Kaplan Can, H, Dogan, A. L., Rzaev, Zakir M.O., Hasegeli Uner, A.ve A. Güner, "Synthesis, characterization, and antitumor activity of poly(maleic anhydride-co-vinyl acetate-co-acrylic acid)", J. Appl. Polym. Sci., 100, 3425-3432 (2006). A11. Memisoglu-Bilensoy, E., Dogan, A.L. ve Hincal, A.A. “Cytotoxic evaluation of injectable cyclodextrin nanoparticles”, J. Pharmacy and Pharmacology, 58; 5, 585-589 (2006). A12. Atilgan, S., Ekmekci, Z., Dogan, A. L., Guc, D. ve E. U. Akkaya,” Water soluble distyryl-boradiazaindacenes as efficient photosensitizers for photodynamic therapy”, Chem Commun, Nov 13;42,4398-43400 (2006). A13. Bilensoy, E., Dogan, L. Şen M. ve Hincal, A. “Complexation behavior of antiestrogen drug tamoxifen citrate with natural and modified b- cyclodextrins”, J Incl Phenom Macrocycl Chem, 57(1-4), 651-655 (2007). A14. Bilensoy, E., Çırpanlı, Y., Şen, M., Dogan, A. L. ve Çalış, S. “ Thermosensitive mucoadhesive gel formulation loaded with 5-FU: cyclodextrin complex for HPV-induced cervical cancer”, J Incl Phenom Macrocycl Chem, 57(1-4) 363–370 (2007). A15. Tuncel, M., Aydin, D., Yaman, E., Tazebay, U. H., Guc D, Dogan, A.L., Tasbasan, B. ve Ugur, O.,”The comparative effects of gene modulators on thyroid-specific genes and radioiodine uptake”, Cancer Biotherapy and Radiopharmaceuticals, 22;2,281-288 (2007). A16. Bilensoy, E., Gurkaynak, O., Dogan, A.L. ve Hıncal, A.A.,”Safety and efficacy of amphiphilic ss-cyclodextrin nanoparticles for paclitaxel delivery”, Int J Pharm, 347(1-2);163-170 (2008). A17. Bilensoy, E., Sarisozen, C., Esendagli, G., Dogan, A. L., Aktas, Y., Mungan, N. A. Intravesical cationic nanoparticles of chitosan and polycaprolactone for the delivery of mitomycin C to bladder tumors. Int J Pharm, 17; 371(1-2); 170-176 (2009). Eur J Pharm Biopharm,73 (1);82-9 (2009). A19. Esendagli, G., Canpinar, H., Doğan A.L., Akkaya, M., Kansu E., Guc D. “Transfection of myeloid leukaemia cell lines is distinctively regulated by fibronectin substratum”, Cytotechnology, 61;45-53 (2009). A20. Akbiyik F., Cevik S., Bayrak T., Dogan A.L., Bayrak A. ve E. Demirpençe, ”Karaciğer Hücre Dizilerinde Paraoksonaz1 Ekspresyonu ve Aktivitesinin PPARalfa ile Kontrolü”, Turkish Journal of Biochemistry, 35(2), 151-56 (2010). A21. Cakmak, Y., Kolemen, S., Duman, S., Dede, Y., Dolen, Y., Kilic, B., Kostereli, Z., Yildirim, Tatar L., Dogan A.L., Guc, D., Akkaya, E. U. “Designing excited states: Theory-Guided Access to efficient photosensitizers for photodynamic action”, Angew. Chem Int Ed Engl.,Dec 9;50 (50);11937-41 (2011). A22. Mert, O., Esendagli, G., Dogan, A.L., Demir, A.S. “Injectable biodegradable polymeric system for preserving the active form and delayed-release of camptothecin anticancer drugs” RSC Advances, 2; 176–85 (2012). A23. Sengel-Türk, C.T., Hasçiçek, C., Dogan, A.L., Esendagli, G., Guc, D., Gönül, N. “Preparation and in vitro evaluation of meloxicam-loaded PLGA nanoparticles on HT-29 human colon adenocarcinoma cells” Drug Dev Ind Pharm, 38(9):1107-16(2012). A24. Dogan A.L., Çimen, E., Oskay, S., Oksuz, S., ve D. Guc, ”Meme Kanseri Hücre Dizilerinde HIF-1 alfa ekspresyonunun PI3K/Akt yolağı inhibitörleri ile kontrolü”, Turkish Journal of Biochemistry, 37(3): 264-271 (2012). A25. Yılmaz, Z., Dogan, A. L., Ozdemir, H.O., Serper, A. “Evaluation of the cytotoxicity of different root canal sealers on L929 cell line by MTT assay” Dental Materials J, 31(6):1028-1032 (2012). A26. Silindir, M., Erdoğan, S., Özer, A.Y., Doğan, A. L., Tuncel, M., Uğur Ö., Torchilin V.P. ”Nanosized multifunctional liposomes for tumor diagnosis and molecular imaging by SPECT/CT” J Liposome Res, 23(1):20-27 (2013). A27. Güzel, E., Atsay, A., Nalbantoglu, S., Şaki, N., Dogan, A.L., Gül, A., Koçak, M.B. “Synthesis, characterization and photodynamic activity of a new amphiphilic zinc phthalocyanine”, Dyes and Pigments,97:238-243 (2013).